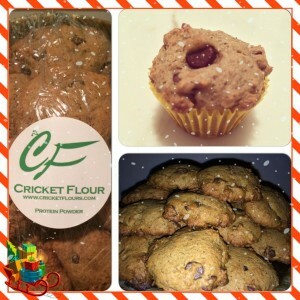 These delicious Vanilla Chocolate Chip Cookies are made with our 100% Pure Cricket Flour. As you see from the photo, our batter was thicker than expected, so we used the same mix to make both cookies try out some mini-muffins as well that really turned out nice. 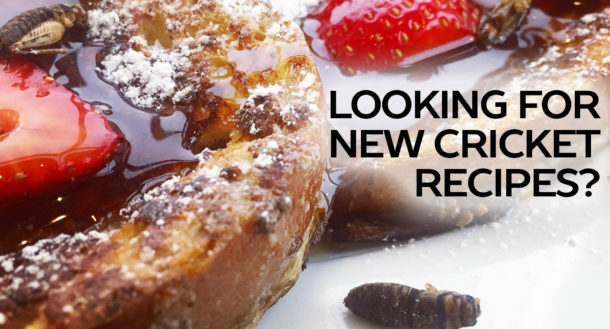 Check out the recipe below, and let us know what you think! Soften the butter to room temperature, and then mix together the butter, brown sugar, and sugar. Mix these together until the mix is soft and fluffy. Next, add in the vanilla extract, and mix in one egg at a time until fully combined. In a separate mixing bowl, mix together the all-purpose baking flour, 100% Pure cricket flour, and then the remaining dry ingredients until fully combined. Now take the wet mixture, and slowly add it to the dry ingredients while continuing to stir. Keep stirring until the ingredients are fully mixed in, and then stir in the milk chocolate chips. On a baking sheet lined with parchment paper, use a tablespoon or large spoon to place your cookie dough. Place these in the oven, and bake for 12-14 min.